I know, I know, this is not a terrine. Be patient! 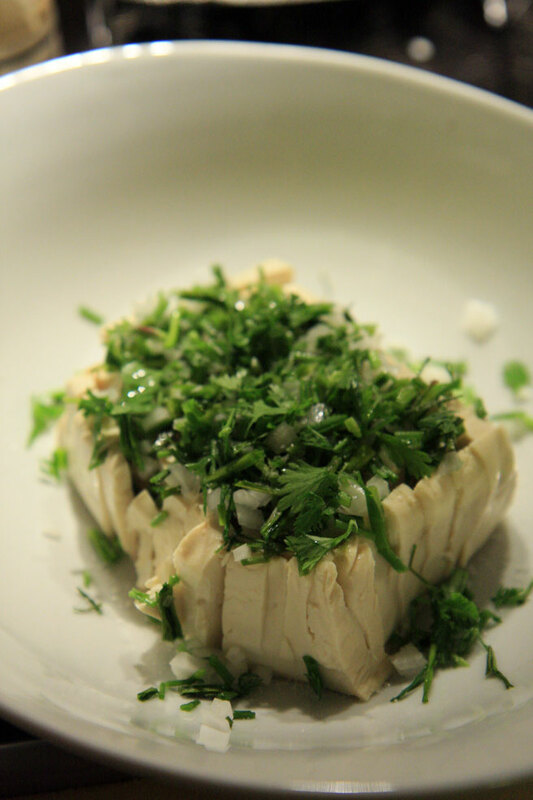 Summer nights in Beijing, we'd stroll through the heat to brightly lit white tiled dining halls and order some cold tofu with chives to start the meal. This is one of those simple dishes you don't see on the menus, but just order. When I place it on the table and we begin to dig into this delicious cold cake of goodness, my heart fills with the warmth of my friendships at that time of my life. I recently got back in touch with an old friend from that era. Her name is Faith. She lives in Hong Kong now, after a few years in Shanghai. We can go on for hours talking about all of the trouble we used to get into. For Faith and I, our time in Beijing was marked by the fact that there was a certain respectable hour to be seen in public, anytime before 11:00 PM was for losers. So it was nearing midnight, and we had carefully dressed and artfully applied just the right amount of makeup to ensure that we did not look like we were trying too hard (this took several hours) and made the calls to get everyone to congregate for a drink at one of our most cherished expat hangouts. Faith taught me the virtues of Bobbi Brown lipstick and had a Coach purse. She had gotten her masters degree in Chinese Literature before coming to China, and spoke absolutely incredible Chinese. She adopted the name of a Chinese film star. She was destined for greatness and I knew her way back when. We entered the bar and instantly made friends with a young man (hogging a table alone) who was only in Beijing for two days, pathetically crying into his beer. We descended upon his table and got to talking. He told us he was leaving China the next morning and lamented and whined that his visit was such a short one, and that he'd never get to see the Great Wall. It was a pitiful story. Faith and I were sage and pondered upon the issue. This young man was NOT going to leave China without seeing the Great Wall. We dispatched one of our group to haggle for a taxi to take us the 2 hour ride and back, sent another off to buy tons of beer, went and got the young man, pushed him into the cab, and piled in, passing the bottles of beer around. We laughed and talked and joked him out of his pity party the entire way as this cab driver barreled into the black of night across the Chinese countryside. When we arrived, we were stopped by a guard and talked our way somehow into him letting us go up on the wall. The poor boy got his wish before he even knew what hit him. My Ayi used to fix this up for me and my friends whenever they came over, and she was the one to show me how to make it just right. To me this dish just oozes the simple easy joy that good friends bring. I have included a step by step how to to make sure you get this complex technique just right! Watch carefully, full of action! 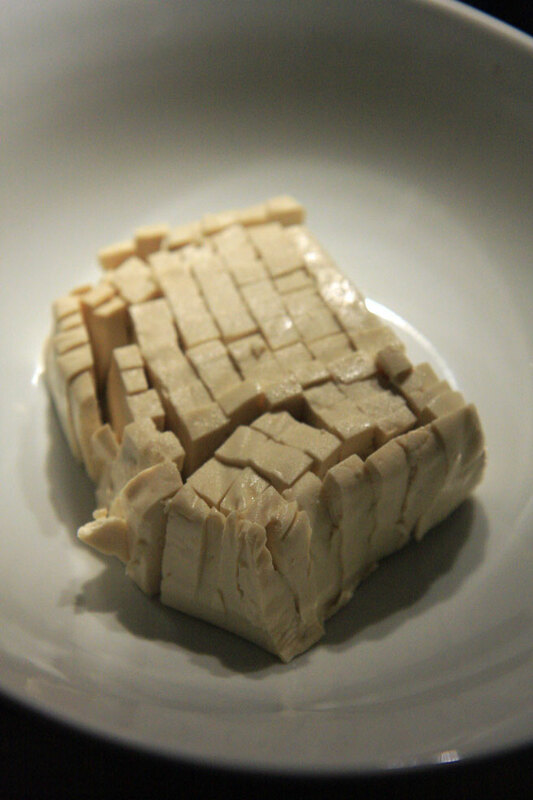 You start with a nice cold block of tofu. Use a knife to cut into strips, stopping just before cutting through the bottom to keep it from falling apart. 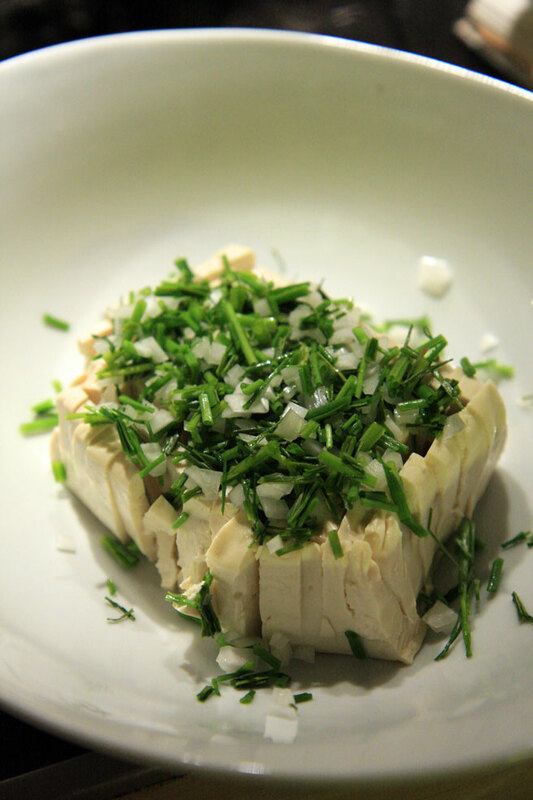 Mince some chives and onions (the onions are optional), and sprinkle them over the tofu. Verrrry delicate operation, the addition of salt, then oil. Add salt. Add a teaspoon or two of sesame oil, letting it drizzle into the cracks and carry some salt with it. Add some Chinese coriander if you wish. Dust with Sichuan pepper (must not forget that). Cover the dish and let the flavors mingle chilled for 30 minutes. Sprinkle with toasted sesame seeds, and bring it out to the table. Delicious! P.S. Still working on the terrines, they take awhile... They will not disappoint! OMG, now I have to make this. I think sometime this week as I have quite a bit of food in the frigo waiting in the wings. What a great story! You gave that young man a story to dine out on for years, I'm sure. I was just thinking I hadn't had a good tofu dish in a while... This looks marvelous! I love reading your blog and your photos are stunning. I hope you don't mind, but I've posted a link to your page on my own blog. This looks delicious, and will be on the menu soon. Wonderful photos, as always! Thank you for sharing the delightful story as well, it will always come to mind when I make this dish. I enjoy your blog so very much! you must have had lots of fun in china! I've always felt that I had to cook tofu. except kinu-tofu. maybe it's time to change that! Beautiful, that something so simple can be so profoundly delicious. Thanks for sharing. We've recently bought some Szechuan peppercorns and are dying to try it. This looks like a good place to start. A wonderful dish for the 95 plus weather we have been having. It will be on my table this week. Sensational but whoa...no soy sauce? 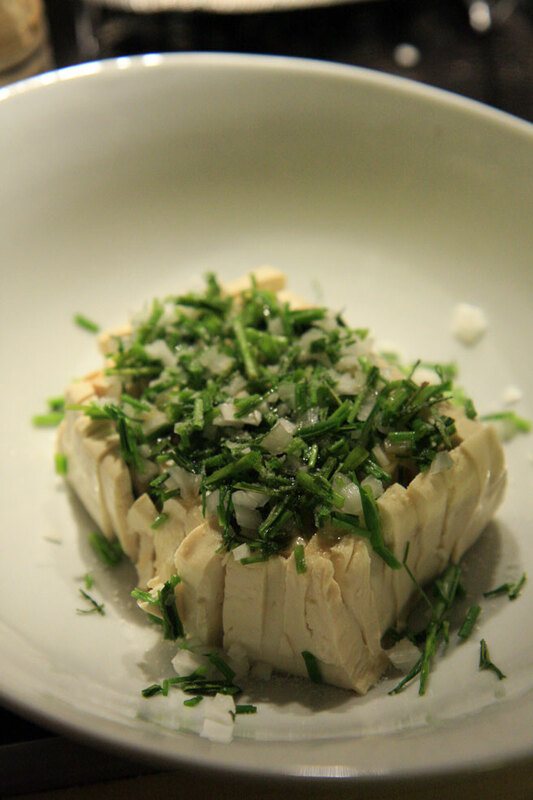 A variation of grated young ginger with the spring onions could be refreshing. I hope the poor boy was suitably impressed. This is very delicious looking dish, I love tofu but haven’t really ventured to try it just cold. You convinced me. But most of your entire story captivated me. It’s what all blog should be about. All things related to food to be exact. Memories, feelings, those warm, satisfying emotions that invade us as the plate is presented in a restaurant, or in a home. Food is more than food; it’s an emotional connection of our being. I love food, because it tastes good, but most of all because it reminds me of that one time me and my grandma, ate the most delicious tasting lemon popsicles in the park behind her house in Mexico. And I love going to Rutabas in Fullerton Ca, because I have had good moments there avec my mom and family. I celebrated getting my license there. I love empanadas because it brings endless Christmas memories to mind and a tear to accompany them. Your story moved me, because it seemed like a page of an old book. It seemed to be a movie clip that just plays and plays in one’s head. Thanks for sharing. Your kind comments and sentiments have made me feel so wonderful. Thanks for your support, friends. Oh how your story reminds me of the fun of young expat life. I definitely want to give the tofu dish a try. I hope that your day is full of joy and light and love. I am thinking of you today! It's still your birthday on this side of the Atlantic! 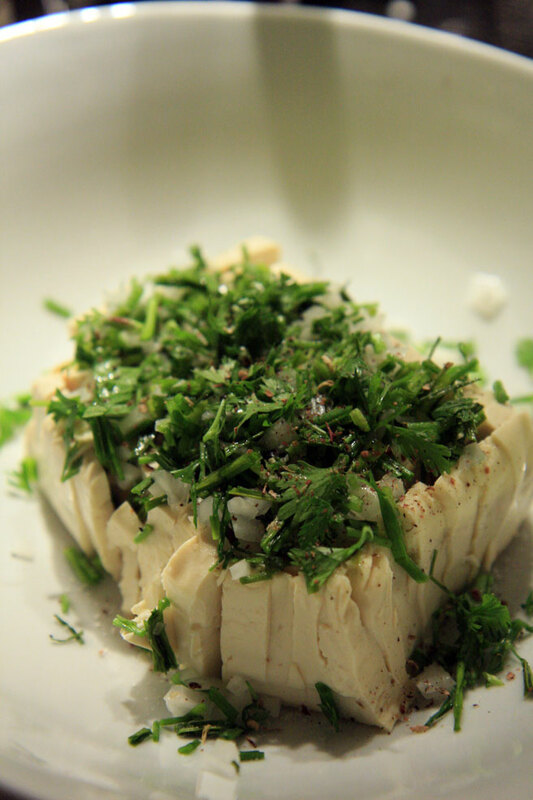 Thanks for sharing this delicious looking tofu recipe! 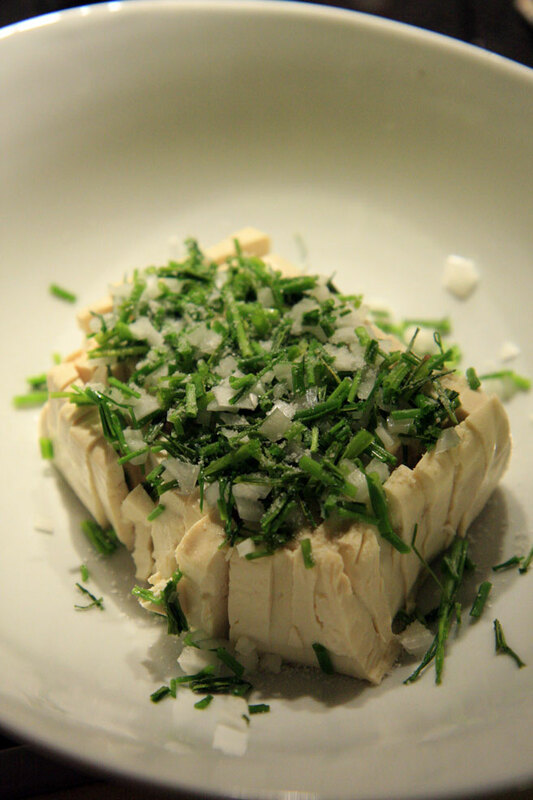 I've never had good luck with tofu but this looks wonderful. I've never seen a dish like this, and I am definitely going to try it it out in my kitchen. The simplicity of it seems absolutely perfect for a hot summer evening! 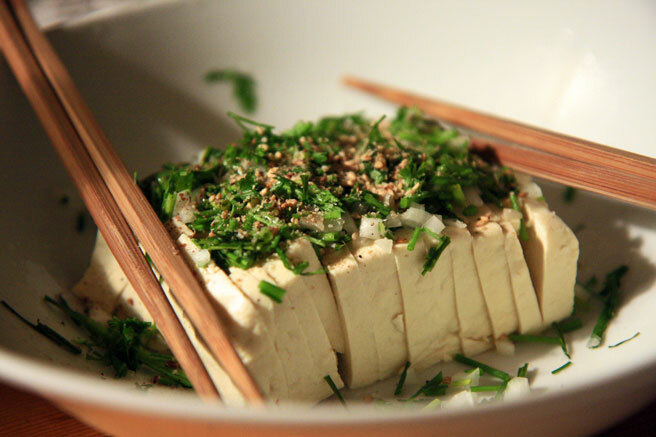 This is beautifully presented tofu recipe, it sounds delicious. Would this dish traditionally use jiu cai?